What the frak are you watching tonight? 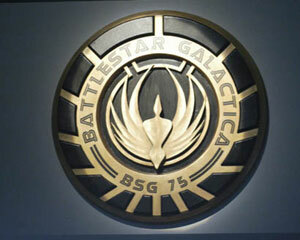 Just a quick reminder that the fourth and final season of Battlestar Galactica will premier on the web this afternoon at noon eastern, and then at 10pm on the Scifi Channel. The premier will only be available for about an hour on the web so if you're going to catch it early, don't drag your feet. Here are what some people are saying around the Internets about it. *Caprica is a new spin-off recently greenlit for production by the Scifi Channel that will take place before the Cylon-Human war. It may debut as early as this fall.